Event Center in Sioux Center. The band will entertain the audience with the pleasing background music during the the social time as people arrive and the dinner hour of Promise Community Health Center’s ninth annual celebration and fundraiser on Thursday, Nov. 2, at Terrace View Event Center in Sioux Center. Doors will open at 5:30 p.m. This talented group of musicians also consists of Ariel Gomes on electric guitar, Mark Brauning on drums, and Daniel Amin on piano. The Gomes brothers and Amin are students at Dordt College in Sioux Center, and Brauning graduated last year. All of the members of the ensemble have played for many years in various bands before coming together to form The Chase. A sampling of the tunes the audience will hear include “Autumn Leaves” and “So What” by Miles Davis, “Take Five” by Dave Brubeck, “Moanin’” by Art Blakey and “Wave” by Tom Jobim. “Our style is mostly pop-jazz, urban-jazz, with strong influence from Bepop and 60s jazz,” Michel Gomes said. 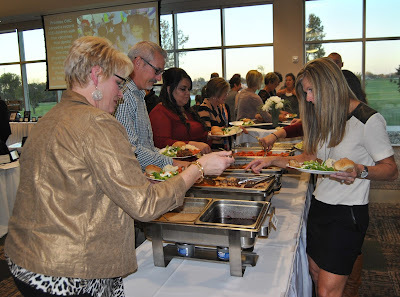 Promise Community Health Center will present its ninth annual “An Evening of Promise” Celebration and Fundraiser on Thursday, Nov. 2, at Terrace View Event Center in Sioux Center. The event, which serves as Promise’s primary fundraiser every year, will begin at 6 p.m. Doors will open at 5:30 p.m. The event will feature a catered dinner, live jazz music, presentation of the Addink Community Service Award and a silent auction to support Promise. Ticket sales for “An Evening of Promise” will run through Wednesday, Oct. 25. Tickets are $40 for adults, $20 for youth ages 4-17 and free for children 3 and under. They can be purchased online at www.promiseevent2017.eventbrite.com or in person at Promise CHC, 338 1st Ave. NW, Sioux Center. For more information or to get a paper registration form, visit www.promisechc.org or call 712-722-1700. Read this preview story to learn more about the event. SIOUX CENTER – The way Barbara Top of Sioux Center views it, her purpose in life is to serve. Her perspective is the same whether she is serving at some distant location such as Rehoboth Christian School in New Mexico, Mississippi Christian Family Center, Guatemala or Romania or right here in northwest Iowa at Hope Food Pantry, Sioux Center Community Unity Meal or West Sioux Elementary School in Hawarden. Community Service Award honoree for 2017. In everything, she acts with humility. She doesn’t do it for her glory – but God’s glory. She quickly notices many others who do just as much or more than her. But people have noticed and appreciated her outreach efforts as well. For her selfless service, Top will be presented the sixth annual Addink Community Service Award during Promise Community Health Center’s “An Evening of Promise” Celebration and Fundraiser on Thursday, Nov. 2, at Terrace View Event Center in Sioux Center. She was one of a few people nominated for the annual award. Top isn’t exactly sure where her desire to serve people came from. But she noted that her younger sister, Karen, had Down syndrome, so her family experience may have stirred her heart of compassion. “You look at things differently because of that,” she said. Top, who holds a doctorate in special education, dedicated most her career to students with developmental disabilities. After serving as an elementary teacher at four schools, she worked seven years at Hope Haven in Rock Valley, as a special education teacher and then in program development and administration. She helped establish the special education program at Dordt College in Sioux Center and taught there for four years. After working a second stint at Hope Haven for five years, she taught children with disabilities for a year in Elim Christian School in Palos Heights, IL. She served several years as a special education consultant in northwest iowa for the Area Education Agency. She then taught courses in special education at Northwestern College in Orange City for 12 years before retiring in 2005. But her interest in serving people with various needs went well beyond her career. 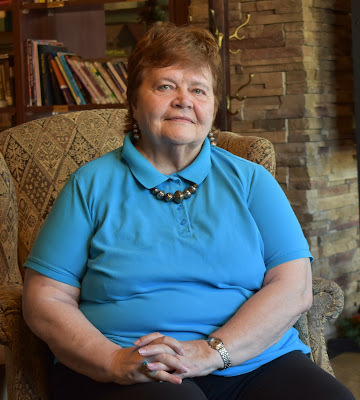 Last month, Top returned from another of many trips she has made since 1977 to serve in Rolling Fork, MS, at Mississippi Christian Family Services, a mission that serves people with special needs and challenges. She has worked with people in the residential program. She has assisted with the day habilitation program. She has helped in the shelter workshop. In more recent years, she has spent most of her time serving in the thrift shop, even bringing along a carload of items for the store. She has done various roles – whatever is necessary. During the past 12 years since retiring, Top has traveled for a full month each year, usually in January, to serve Navajo children in the Rehoboth Christian School in Gallup, NM. She helps teachers by working with students who need special assistance individually or in small groups outside of their regular curriculum. While serving at Northwestern, Top made four, weeklong trips with college students to Guatemala to lead spiritual retreats for children with physical disabilities and their families. She also accompanied a group to Romania in 2001 to present about autism in a few locations over eight days. Top also has volunteered in many ways locally. For the past several years, she has mentored at-risk youth at West Sioux Elementary School in Hawarden on a one-one-one basis for a half-day per week from October to May. She has served on the Sioux County Board of Health for over two decades, facilitates Bible studies at First Christian Reformed Church in Sioux Center and volunteers at Sioux Center Health. She also serves at the monthly Sioux Center Community Unity Meal and the Hope Food Pantry. In addition to reaching out to people with various needs, a common thread of Top’s service has been interacting with people of many races and ethnic backgrounds. Rod and Jayne Hofmeyer – 2016. Ticket sales for “An Evening of Promise” will run through Oct. 25. SIOUX CENTER – Relief. Happiness. Anxiousness. 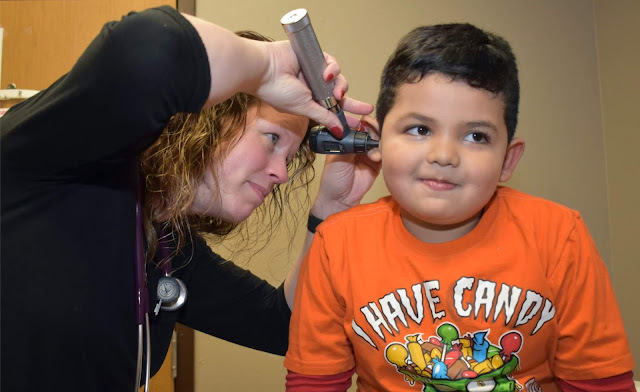 Nancy Dykstra was experiencing a mix of emotions when Promise Community Health Center – then known as Greater Sioux Community Health Center – opened its doors for the first time in July 2008 in Sioux Center. Ted Boesen, her nominators and Kulczyk's family. 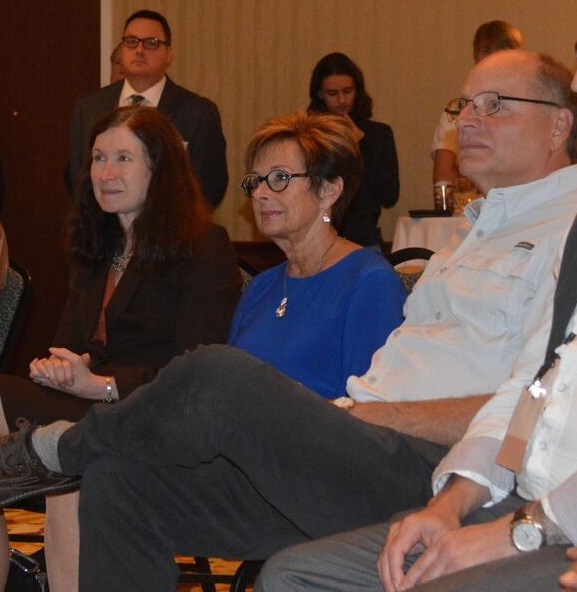 The day was culmination of years of planning by a group of community stakeholders who desired to bring accessible, affordable health care to all people. The previous 120 days had been a flurry of high-pressure activity: final planning, policy development, hiring of staff and the remodeling of the former bowling alley building. Dykstra, the founding executive director for Promise, had been an integral part of it all. Nine years later, Promise is a growing and thriving health center. And Dykstra was the guiding hand throughout its history. For her outstanding contributions to Promise and her tireless advocacy to the community health center model of care, Dykstra was awarded the 2017 Carl Kulczyk Memorial Award by the Iowa Primary Care Association Tuesday, Oct. 17, during its annual conference in Des Moines. 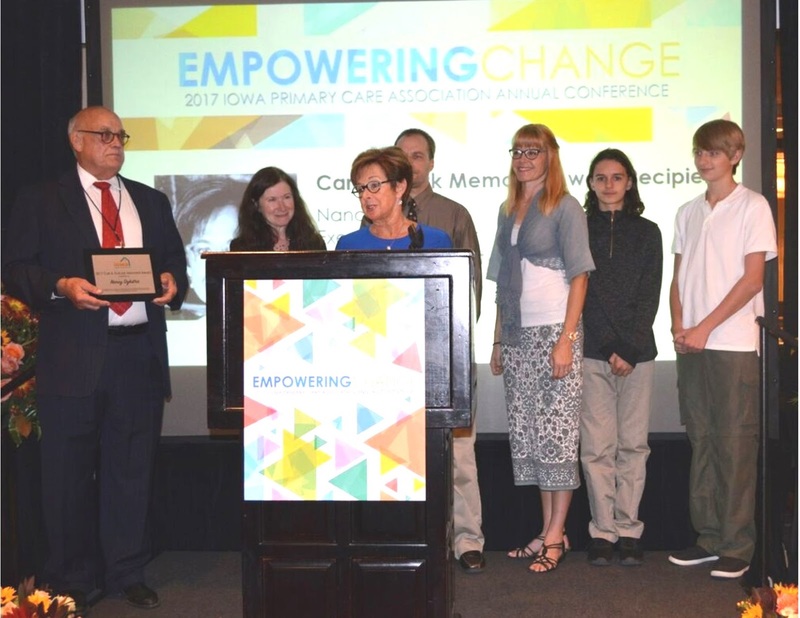 The award was established in recognition of Kulczyk’s contributions to the Iowa PCA and the community health field prior to his death in 2008.
dedicated our lives and careers to community health. 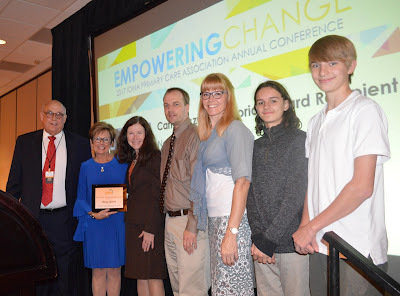 honors a man who exemplified the work that we do,"
Dykstra said during her acceptance speech. Promise was a fulfillment of a dream. As the director of Community Health Partners of Sioux County, Dykstra and her staff became aware of the shifting demographics in Sioux County due to immigration and the growing number of families without health insurance and access to affordable primary health care. Leadership of the public health agency, along with staff at Mid-Sioux Opportunity, the regional community action agency, began recruiting and assembling health-care leaders, doctors and nurses; social workers; educators; and policymakers – various people who shared the common concern of providing access to care for all people. They discussed. They researched. They talked to state experts in public and rural health. They considered their options. Ultimately, they concluded that establishing a community health center would be the best solution. Tuesday, Oct. 17, ceremony in Des Moines. To be sure, the road to where Promise is today wasn’t always smooth and straight. It had its share of perilous potholes and twisting turns. Promise opened with state incubator funding and operated as a Federally Qualified Health Center (FQHC) Look-Alike. In the meanwhile, health center officials applied for FQHC status – and the federal funding that comes with it. But, despite a massive, persistent effort of advocacy with federal elected officials, the health center did not obtain its designation as a FQHC until 2012 – a full two years after the state incubator funding ran out. If it was not for the leadership of Dykstra and others navigating the health center through that financially treacherous time, Promise easily could have slipped quietly into history. Don Ortman, the longtime Rock Valley Elementary principal and a Promise board member since its beginning, remembers that time well. “Due to Nancy’s perseverance, passion and unbelievable commitment to Promise Community Health Center staff and clients, the doors were kept open for two more years until that happy day when Promise Community Health Center became a federally qualified center,” he said. Since then, Dykstra has overseen the health center’s impressive growth of services from primary medical and prenatal care to a comprehensive range of core services that now includes outreach assistance, dental, vision/eye, behavioral health and substance abuse counseling, family planning and victim advocacy. She has guided the health center through a continuous expansion of facilities that now encompass all of the available space in Sioux Center’s former bowling alley building, which Promise first leased and now owns. She has helped to organize Wellness on Wheels bicycle rides, health fairs, back-to-school screening events, annual celebration and fundraising events, and much more. Dr. Noreen O’Shea, who served as a family practice physician and the medical director at Promise from 2008-10, said she remembers being amazed during her interview for the position as Dykstra laid out the extensive background on how long community members had worked to get a CHC established in northwest Iowa. Through it all, Dykstra never lost sight of whom Promise exists to serve. No name has been more synonymous to Promise Community Health Center than Nancy Dykstra, but now as she eyes retirement at the end of the year, she prepares hand the reins of the organization to a new leader. In doing so, she leaves a legacy of service. “What is most satisfying to me as I look back on my time as Promise’s executive director is knowing that the center will continue to be here for all those who need access to care – care provided with dignity and compassion, no matter a person’s income level, background or life situation,” Dykstra said. “Working in a health center is about working with people – meeting them where they are and addressing their situation as it is. It’s about building roads out for people who face barriers. Nancy Dykstra’s life story illustrates a commitment to enhancing the quality of life for all people, especially those who have been marginalized. She served patients as a registered nurse. She taught nursing students at a community college. She was instrumental in establishing the first Medicare-certified home care and hospice in Sioux County, then directed it for 13 years. She helped to redesign the public health program in Sioux County, then served as its director for 13 years. Finally, she was the driving force behind Promise Community Health Center. Dykstra and her husband, Richard, live in Hull. They have three adult children and seven grandchildren. In her spare time, Dykstra enjoys reading, bicycling, taking walks, traveling for leisure and, most of all, spending time with her husband, children and grandchildren. To learn more about Nancy’s career, read this story. Promise Community Health Center will celebrate the contributions of Nancy Dykstra, its founding executive director, during the ninth annual “An Evening of Promise” Celebration and Fundraiser on Thursday, Nov. 2, at Terrace View Event Center in Sioux Center. An evening of food, fun and fellowship is planned. Ticket sales run through Oct. 25. For more information about Promise’s annual event, read this preview story. SIOUX CENTER – Promise Community Health Center will take a walk down memory lane for its ninth annual “An Evening of Promise” Celebration and Fundraiser. 5:30 p.m., and the event will start at 6 p.m. The annual celebration is slated for 6 p.m. Thursday, Nov. 2, at Terrace View Event Center in Sioux Center. Doors will open at 5:30 p.m.
Tickets will be on sale through Wednesday, Oct. 25. The evening will feature a fabulous dinner of pork loin and chicken breast served by Central Catering of Hawarden, live jazz music during the social and dinner hour by The Chase, presentation of the sixth annual Addink Community Service Award to Barbara Top of Sioux Center and a silent auction to support the mission of Promise in the community. Promise also will take the opportunity to celebrate the contributions of Nancy Dykstra, the health center’s founding executive director, before she moves into retirement. Past providers and board members will be among the honorary people in attendance. View Event Center in Sioux Center. 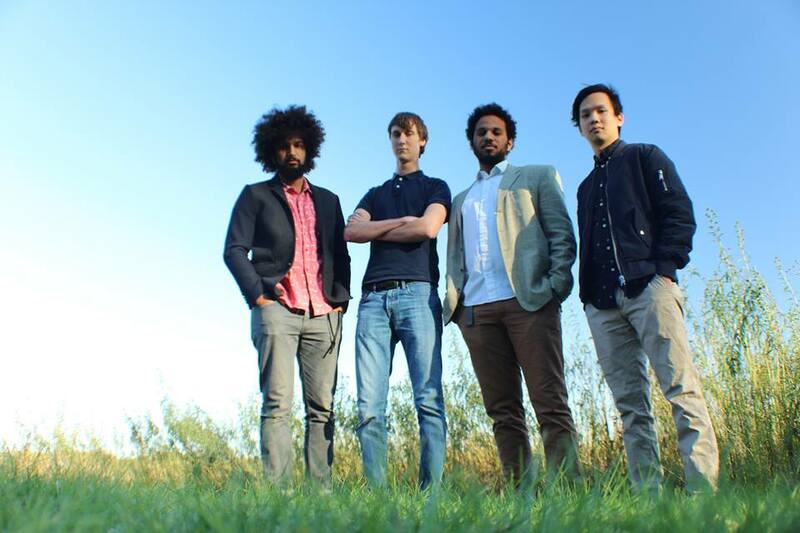 The Chase, formerly known as AK-Squared, consists of Ariel Gomez on electric guitar, Mark Brauning on drums, Daniel Amin on piano and Michel Gomez on bass – all students or alumni of Dordt College in Sioux Center. All of the members have been playing for many years in various bands before coming together to form this band. 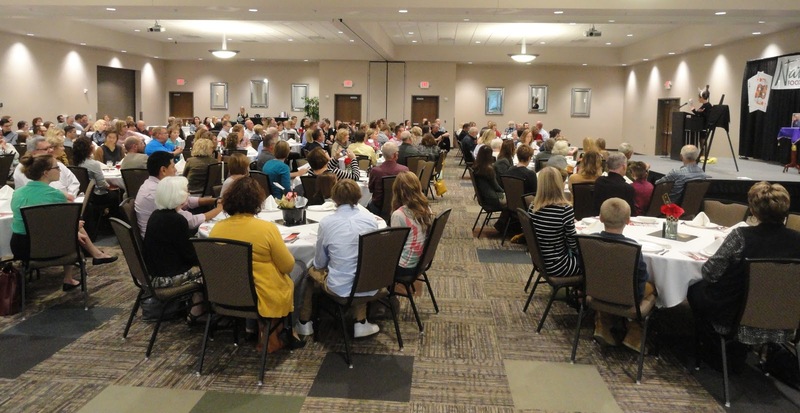 Natural Food Holdings of Sioux Center again will serve as the primary corporate sponsor for “An Evening of Promise.” Other area businesses and individuals also are supporting the annual event as sponsors, including Premier Bank, Peoples Bank, Van Engelenhoven Agency, and Darin and Linda Dykstra. The event, which serves as Promise Community Health Center’s primary fundraiser every year, also will include a silent auction. Many great items – ranging from home-crafted items to tickets to Disney World theme parks – will be auctioned off. Ticket sales for “An Evening of Promise” Celebration and Fundraiser will run through Wednesday, Oct. 25. Tickets are $40 for adults, $20 for youth ages 4-17 and free for children 3 and under. Tickets can be purchased online at promiseevent2017.eventbrite.com or at Promise Community Health Center, 338 1st Ave. NW, Sioux Center. Or, you can download a paper ticket form from Promise website at www.promisechc.org. For more information, please contact Derrick Vander Waal at 712-722-1700 Ext. 150 or derrick@promisechc.org.